Bermuda lies 570 miles from the coast of North Carolina and is surrounded by the blue waters of the Atlantic Ocean. With a landmass of only 21 square miles, it is one of the smallest territories in the world (Monaco and Gibraltar are the only notable ones smaller in size). Bermuda is actually an archipelago consisting of around 140 islands. 8 of these (Ireland Island North, Ireland Island South, Boaz Island, Watford Island, Somerset Island, Bermuda Island, St George’s Island and St David’s Island) are linked by bridges and causeways to form a continuous fishhook shaped area of land, 22 miles in length and only 2 miles across at its widest point. This is the Bermuda which most locals and guests are familiar with; many of the other islands are uninhabited or mere rocks. 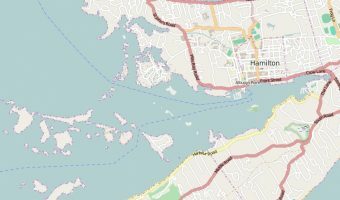 Click here for a detailed map of Bermuda. 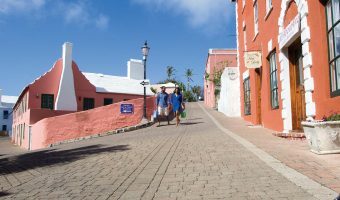 When the island was colonised by the British in the 17th century (see History of Bermuda), it was divided into nine administrative areas (8 ‘tribes’ and the public area of St George’s). These districts, now called parishes, were named after major shareholders of the company that administered the island. From west to east the parishes are Sandys, Southampton, Warwick, Pembroke, Paget, Devonshire, Smith’s, Hamilton, and St George’s. Click on any parish name for a detailed area map. Sandys Parish is situated at the western tip of Bermuda and is comprises Ireland Island North, Ireland Island South, Boaz Island, Watford Island, Somerset Island, and a small section of Bermuda Island. They are connected by bridges. The northern section of the parish is occupied by the Royal Naval Dockyard, a former military dock and fort. It has recently been transformed into a major tourist destination with two cruise ship docks (Kings Wharf and Heritage Wharf), a shopping mall, museum, art gallery, beach, and plus several restaurants, pubs etc. Somerset Village, on Somerset Island, is the largest settlement in the parish. There’s a supermarket here, branches of both HSBC Bermuda and Butterfield, and a pub. Nearby is Somerset Long Bay, the largest beach in the area, and Cambridge Beaches, an exclusive cottage colony. Somerset Bridge links Somerset Island to Bermuda Island and is reputedly the smallest drawbridge in the world. Scaur Hill Fort is just north and occupies the highest point in the parish. Visitors can walk the ramparts and enjoy great views of the Great Sound. Southampton Parish is a thin stretch of land, bordered to the north by the Little Sound and to the south by the Atlantic. 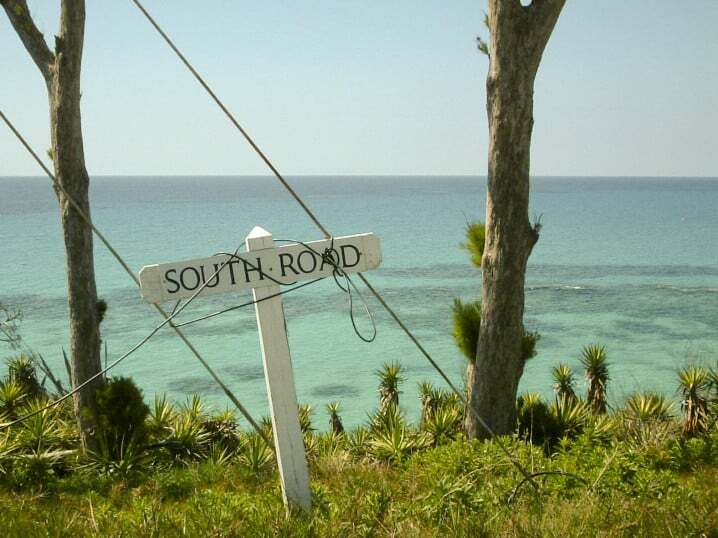 The north side is primarily residential while the south side is home to some major resorts (the Fairmont Southampton, Pompano Beach Club, and The Reefs), plus some of the island’s best beaches (Horseshoe Bay, Church Bay, and West Whale Bay). Gibbs Hill Lighthouse is the district’s most notable landmark. Climb the 185 steps for a panoramic view of the island. Southampton Parish also has two excellent golf courses; the Port Royal Golf Course and the Fairmont Southampton Golf Club. Warwick Parish lies at the centre of the Bermuda Island and is best known for its great beaches. Warwick Long Bay is the longest beach on the island and is far less crowded than nearby Horseshoe Bay. Jobson Cove is enclosed by shoreline rocks and is a great beach for children. Other beaches in the area are Astwood Cove, Chaplin Bay, and Stonehole Bay. Warwick also attracts those seeking outdoor activities. It has two excellent golf courses (Belmont Hills and Riddell’s Bay), a horse riding centre, plus a good stretch of the Railway Trail. Pembroke Parish encompasses the island’s capital, Hamilton, and is the most densely populated area of Bermuda. 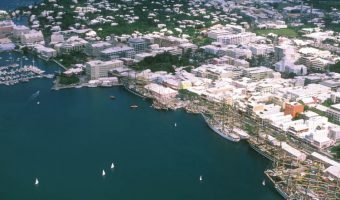 Most of the parish’s tourist attractions are located within Hamilton (Fort Hamilton, the Bermuda National Gallery, Bermuda Cathedral, Perot Post Office etc.) but there are also a number of places outside the city such as Admiralty Park and the Bermuda Underwater Exploration Institute. Pembroke offers numerous places to stay but none have beaches. They are best suited to business visitors or those who value being near to the capital’s restaurants, bars, and other facilities. Options include the Hamilton Princess, the Royal Palms Hotel, the Rosedon Hotel, Rosemont Guest Apartments, and Oxford House. Paget Parish is a popular destination for tourists. It’s close to Hamilton, and offers numerous attractions and accommodation options. Accommodation options include Newstead Belmont Hills, a boutique hotel with its own golf course. Ferries on the Pink Route offer a quick and picturesque journey to the capital. The biggest draw in the area is Elbow Beach. This lovely half-mile stretch of sand is the nearest beach to Hamilton. The Elbow Beach hotel offers upmarket accommodation and numerous dining options. The Bermuda Botanical Gardens is a great place to come and admire the island’s varied flora. It’s also the site of Camden, the official residence of the Premier, and the Masterworks Museum of Bermuda Art. For a unique Bermuda experience, wake up early and take a trip to Crow Lane to see Johnny Barnes greeting passing motorists. Devonshire Parish lies at the centre of the island and is mainly residential. Visitors can enjoy the cheapest round of golf in Bermuda at the government-run Ocean View Golf Course, or take a peaceful stroll around the Arboretum or the private gardens of the Gibbons family. Smith’s is the smallest of Bermuda’s parishes and like its neighbour, Devonshire, is also predominantly residential. It offers a small number of tourist attractions such as the historic Verdmont house and the Spittal Pond Nature Reserve. John Smith’s Bay is the only public beach in the area and is seldom busy. Hamilton Parish wraps around Harrington Sound, the largest inland body of water in Bermuda. Harrington Sound is connected to the ocean at Flatts, a picturesque village home to the Bermuda Aquarium, Museum and Zoo. Bailey’s Bay is village at the northern end of the parish. There are some fantastic limestone caves here, a nature reserve, plus the Grotto Bay Beach Resort. The Causeway links Hamilton Parish to St George’s Parish and LF Wade International Airport. St George’s Parish is Bermuda’s most easterly district. There are two major islands; St George’s Island and St David’s Island. St David’s island was formerly a US Air Force base (Kindley Air Force Base). Much of the island is now occupied by LF Wade International Airport. Places worth visiting include Carter House, St David’s Lighthouse, and Clearwater Beach. Most visitors to the parish head for St George on St George’s Island. This historic town was Bermuda’s first capital and is packed with interesting sights like the Old State House and St Peter’s Church. The main beach in the area is Tobacco Bay. It’s great for snorkelling and not so busy since the cruise ships transferred from St George to Royal Naval Dockyard. 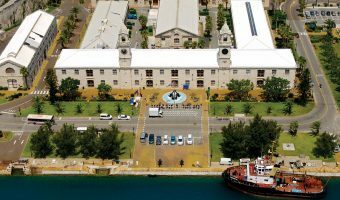 Are there Wi-Fi hot spots at or near the tourist information center in Royal Naval Dockyard? Of all the islands that make up Bermuda, only about 20 are inhabited.